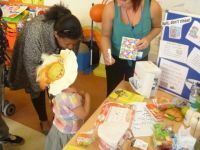 Teynham Community Pre-school is an independent pre-school that provides quality learning, care and education for your child. Staff are fully qualified in child care and education up to level 4 with the manager holding an additional qualification in leadership and management. All staff are first aid trained, have full enhanced DBS checks and have regular safeguarding training to ensure that we always meet the needs of all of the children that attend our setting. 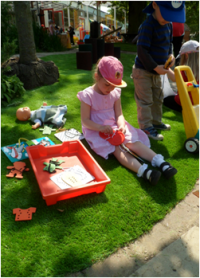 At Teynham Community Pre-school we cater for children from 2 ½ years until school age and each child that attends our setting will have access to a full and rounded curriculum that meets their individual needs. Our aim is for our children to leave us confident and well prepared for their transition to primary school from whatever their background. Our morning and afternoon sessions are 3 hours long and we are open in line with the school’s academic year meaning that we are open term time only. Children who are entitled to the 15 hours government funding can come to Teynham Pre-school and access our facilities without any cost (however we do ask for a voluntary nominal resource fee, please see our “Times & Fees” page). We are also eligible to claim the “Free for 2” funding that some two year olds can claim for. Please contact us if you think you may benefit from this and we can look into this funding for you as not all two year olds will be entitled to it. All of our sessions are for mixed age groups and, as an equal opportunities provider, they are also for children from any background. The pre-school team are very reflective and work hard to ensure that each child has the best possible opportunities for their development. Staff work alongside the children to extend and support their learning with play seen as an important vehicle to achieve this. In order to ensure that this is successful we have an emphasis on staff training and development and work with a high staff ratio. This means we will not be implementing any proposed changes in the law to allow more children to be supervised by each member of staff. Due to the fundraising over the past few years, we have been able to spend £6,000 improving our outside area to provide a fun and safe place for the children to play in most weathers. It has made a huge difference to the children who love being outside and it has made it a much more enjoyable place to be in for everybody. Our most popular events include a graduation play for those leaving the setting to start school, a summer fete (run in conjuction with the Primary School and St. Mary's church), a Christmas party for the children and a Christmas bazaar with a nativity performed by the children (you MUST come and check out our sensational grotto)! Throughout the year various other events will take place, please check out our “Dates & Events” tab for more details on those. Our village location's close proximity to Faversham and Sittingbourne is not only highly convenient for parents and carers of the children but it also allows us to have short and convenient local trips right on our doorstep. We regularly take the children into the local environment to explore and extend on learning opportunities. All trips are planned in advance and parents’ permission is sought on the day of the trip after risk assessments have been carried out to ensure that the children remain safe at all times. Due to our high staff ratio and fun “walking rope” we have plenty of staff to monitor the children making the trips enjoyable for everyone. Previously we have had a trip on the bus, been to the church, the park, the Reptile shop, the train station (with a trip to Sittingbourne to experience a train ride), the library, the shop to buy food and milk for our snacks, the Post Office to post a letter, the Chinese takeaway to celebrate Chinese new year, a building site to see houses being built as well as visiting ISP farm and going on many walks adjacent to the school grounds looking for changes in the seasons. As well as going out and about to explore the local environment we have many people come to visit us at the setting. Pauline Duncan from the local church comes to read stories to the children every other Monday and we have had the dental hygienist come in to talk to the children about how to keep their teeth healthy (and she even came back to do a workshop for the parents which was a real eye opener when it came to the contents of lunch boxes)! The Firemen and police have also been to the setting to teach the children about how to dial 999, what we do in an emergency and, of course, so we can all have a look inside a police car and fire engine! The children really enjoy the hands on experience which brings our topics to life.